Miss Judith Ikenga is a Nigerian-UK based artist who's also new to the Nigerian gospel music scene. Inspired by her zeal and devotion to the growth of the gospel mission, the young talented artist came up with her first song titled "HEAVEN". 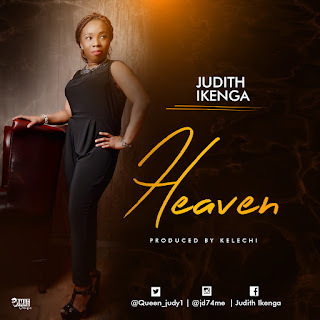 Graduated from the Delta state university, Abraka, Miss Judith moved to the United Kingdom to further her studies there she cultivated her talent in gospel music. Hoping to release another song sometime in July here's a beautiful one from her.